He had just overseen Surrey’s return to the top tier in English county championships when he was invited by his former employer–Sri Lanka Cricket (SLC)–to come on board. It was a tough call for Graham Ford. But the opportunity to return to international level coaching was too good to reject. Ford had early reservations, given the volatile state of affairs in the island’s cricket board. But he decided to give it a try on the promise of a lucrative offer. Sri Lanka’s national team had seen some high profile retirements and he took up the challenge of rebuilding it. Had he known that rampant interference would soon force him to abandon ship, he would not have returned, no matter how good the package. The 58-year-old former South African first class cricketer is currently in Sri Lanka studying the actions of the 15 men in Irish shirts playing against Sri Lanka A in an unofficial Test and ODI series. He is head-hunting for the next generation of Irish cricketers to replace ageing players in the national team. It’s a challenge he loves. After returning from Australia in March 2017, having won a T20 series against the men from Down Under, Sri Lanka were gearing up to host Bangladesh at home when the Board decided to bring in Asanka Gurusinha as Cricket Manager, a position with wide-ranging of powers. This undermined the job of the Head Coach. It was something Ford could not tolerate for long. He relinquished his duties soon after Sri Lanka made a first round exit from the Champions Trophy in England. Ford’s first stint(2012-2014) was a successful one. Not because he waved a magic wand and turned the team’s fortunes around. It was because he had group of world class cricketers of the calibre of Kumar Sangakkara, Mahela Jayawardena, TM Dilshan and Lasith Malinga to work with. It was a luxury he did not enjoy upon his return in 2016. After having shown their potential when Sri Lanka beat Australia at home in a Test series, of those young talents were now playing “exceptionally well”, Ford said. He named Kusal Mendis, Dananjaya de Silva, Niroshan Dickwella and Dimuth Karunaratne. Ford is an uncomplicated coach who believes in hard work and has repeatedly urged cricket administrators, fans and media to be patient with the players without writing them off when the going gets tough. He stands by the same mantra today. 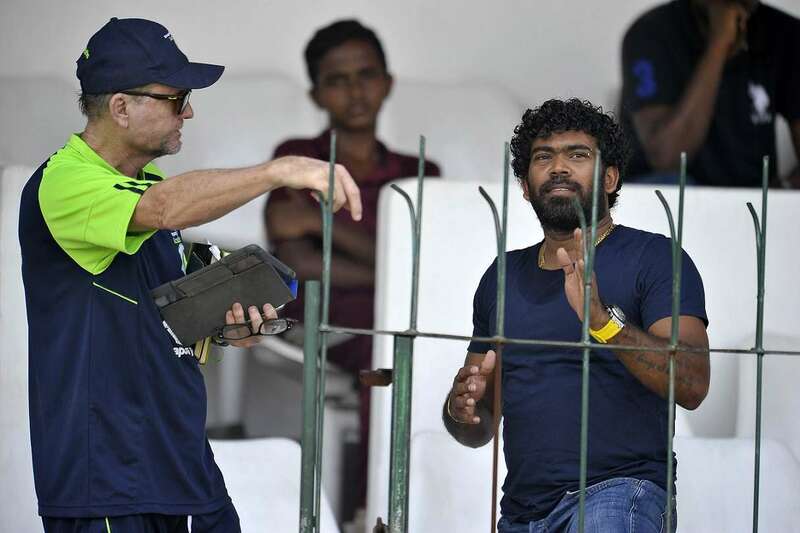 Part of the responsibility for the current state of Sri Lankan cricket, he feels, rests with national Cricket Selectors for their policy of chopping and changing. Sri Lanka has had so many Captains in the last two years that they could field a Captain’s team at a six-a-side tournament . The Selectors were changed at least three times. There were at least three Head Coaches taking charge of the national team at different intervals. Ford, who was South Africa’s Head Coach when the Hansie Cronje match-fixing scandal rocked the cricketing world, says it would hurt him to learn if any of the matches he was involved in were fixed. Ford was in charge of the national team when Sri Lanka conceded a shock 2-3 series loss to Zimbabwe at home in 2017, a series which is under investigation by the International Cricket Council (ICC) with a view to seeing whether the results was premeditated. Ford says he did not suspect foul play. Born in Natal, in South Africa, Ford played seven games for the province’s ‘B’ team before taking over as Head Coach there. His team won limited-over and first class trophies. He later became Assistant to late Bob Woolmer with the national side. After the 1999 World Cup, he took over South African and won eight of his 11 series but back-to-back defeats to Australia cost him his job in 2002. Since then, he has coached at Kent before heading to Sri Lanka in 2012 and then Surrey before returning Sri Lanka in 2016. The hard work has now started with Irish cricket, a country that has little interest in cricket. “This is probably the biggest challenge in my coaching career,” Ford readily admits. Cricket in Ireland is small. The playing population and fan bases are also small. As a result, finances and facilities are less than what you get around the world. Everyone in the system is working hard to improve these circumstances. Ireland Cricket does not have their own grass nets and don’t own a ground. They are building a high performance center but it is far from complete. Much of the time, particularly in winter, there is no outdoor practice. They hire a center sometimes but the rest of the world has their own facilities. It’s a significant disadvantage but has been identified and there are plans to build a facility, which will take time and money. Unlike in Sri Lanka, where 24 teams are playing in the first class tournament, Ireland has just three teams who plays just 22 days of domestic cricket per season.